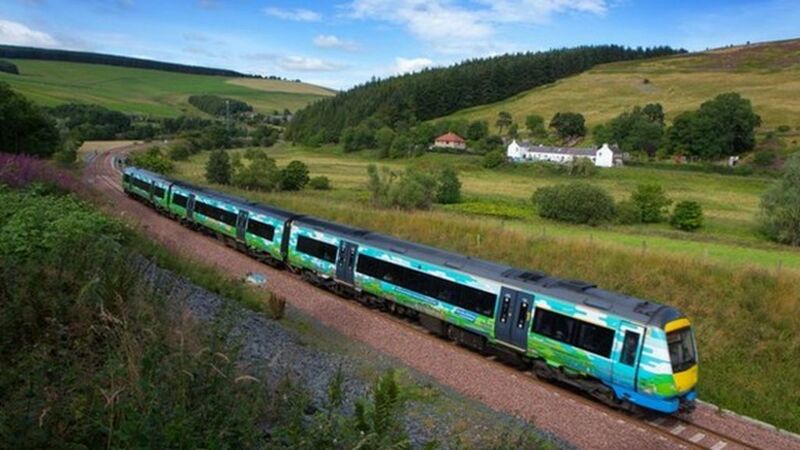 The Borders Railway between Edinburgh and Tweedbank has reached the first anniversary of its opening. The first services ran on the multi-million pound route on 6 September 2015 with the official opening by the Queen three days later. It exceeded forecast usage figures of 650,000 passengers a year within its first six months. However, there have been some problems with overcrowding and cancellations which ScotRail has pledged to tackle. Signalling problems cause delays and cancellations on the day the Borders Railway reaches the first anniversary of its opening. Crowds pour off the (bang-on-time) 09.40 arrival of the first ScotRail train from Tweedbank at Waverley on Sunday 6th September. The crowds continue to enjoy the Borders Railway throughout the brilliantly sunny opening day as the 1404 from Edinburgh arrives at Galashiels on 6th September 2015. 'Hello! It's good to be back!' The first scheduled passenger train on the Borders Railway calls at Newtongrange on 6 September 2015 on its way from Tweedbank to Edinburgh.